Our many years of experience in agriculture means that we have the understanding and insight to get you the building design that you really need. No one understands the needs of agriculture better than CO Building Systems. We know the importance of protecting your feed products, machinery and animals from their worst enemy…the weather. We will take the time to understand your needs and design the building that suits your operation. If you are looking for a stall barn, covered feed storage, riding arena, or machinery cover, CO Building Systems can handle it. We design, engineer & manufacture every building here at our state of the art facility. Buying a building takes careful planning. We can answer your questions, explain the process, and help you select the options that work for you. 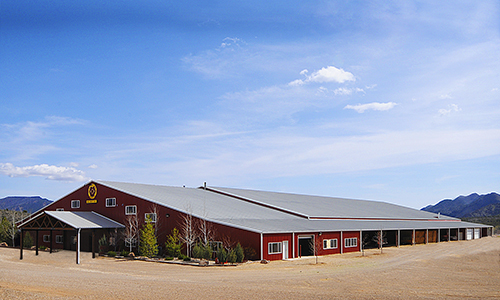 Call us today for information on the best agriculture buildings that money can buy.